40 pins DDK locking socket. 40 pins accurate entire actuation. UCompletely software update. 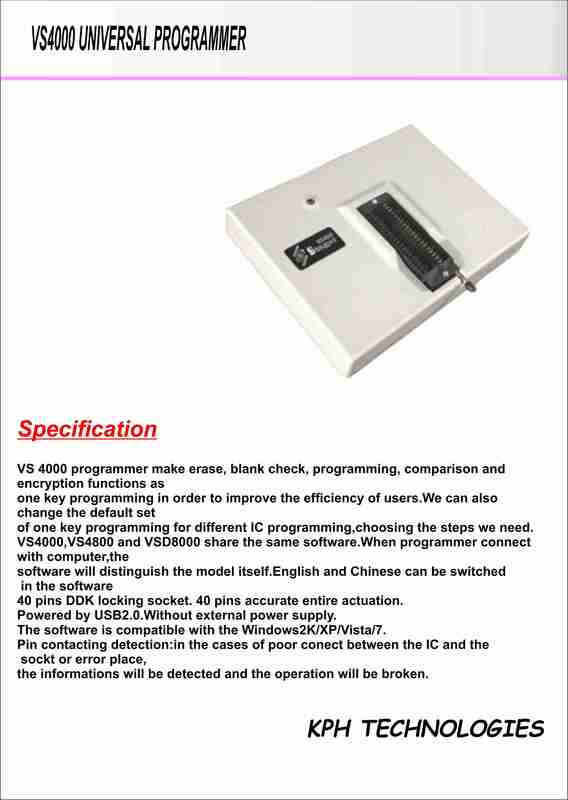 The users enjoy the lifelong suport for software update.It need only to download the latest software on our site。Your programmer will always be newest. Powered by USB2.0.Without external power supply. The software is compatible with the Windows2K/XP/Vista/7. Pin contacting detection:in the cases of poor conect between the IC and the sockt or error place, the informations will be detected and the operation will be broken.